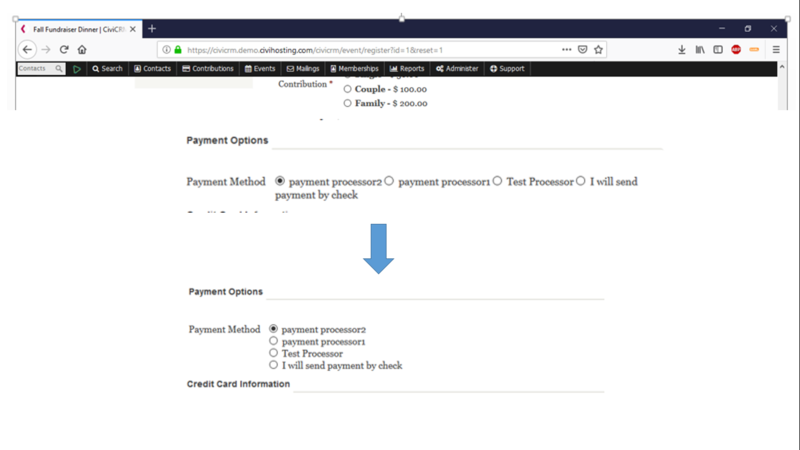 Event registration is listing payment processors in coloumns - which makes the radio buttons unreadable on small screens, dont know what is the best way to change the orienetation. I've included a screenshot how we would like it to be. Browse other questions tagged civievent contributions payment or ask your own question.